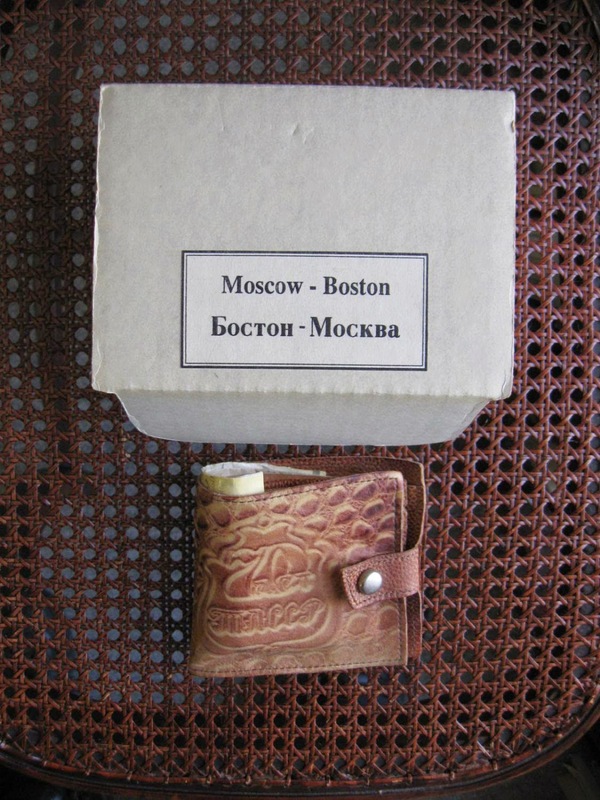 3.75 x 4.25 x 1"
Commissioned by the Institute of Contemporary Art for their "Limited Editions Series", this faux crocodile patterned leather Russian billfold was produced following the artist's first trip to the USSR, made with the staff of the ICA. The object included inside the wallet (pills, coins, bills, a coupon, a black and white photograph with a handwritten note, a postcard mailed from the US, a bill, a ticket, a hand-scrawled note, etc.) are intended to imply a narrative. Available for $1594.53 from D&E Lake, here.